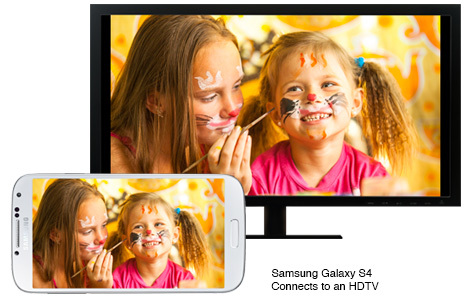 There are so many ways to view your content from your smartphone/tablet to your HDTV. Wired or Wireless, MHL 1.0, 2.0 or SlimPort. How do you know which one’s right for your phone? An important distinction between SlimPort and MHL is that SlimPort draws very little power from the host device. MHL on the other hand draws quite a bit of power from the host device, so it’s a good idea to connect it to an external power source with a micro-USB cable. Google Chromecast is the newest player to the game. It's a digital media-streaming adapter that plugs directly into the HDMI port of your HDTV and streams audio/video content over Wi-Fi. However, users can only view content by the four Apps supported by Chromecast and cannot directly mirror your personal content like your photos and videos. In the end, it comes down to what kind of phone you have. Click here for a quick comparison between MHL, SlimPort, and Chromecast.